I’ve kind of avoided the topic of Black History Month this year until now, almost the end of the month. The reason is, I’ve been kicking around in my mind this notion of “Black History Month Syndrome.” Now, stay with me a minute. What is Black History Month Syndrome? I’ll define it roughly as “the national, institutional, or personal tendency to reduce the value of racial, ethnic, or cultural awareness and celebration to a designated day, week, or month of the year.” That is, we do our annual observance of the thing for that set period of time, and then we don’t think about it seriously again until that same time next year. This could pertain to our current national Black History Month in general, or any similar type of annual heritage observance. Think of the annual Diversity Sunday at your church, or the great PBS documentaries on race that you have be on the lookout for during that elusive 28-day window in February, or that special issue of Time, Newsweek, or Christianity Today that trots out the usual ethnic or female voices for the annual “special issue” on African Americans or Asians or Hispanics or women. Over the years, I’ve struggled mightily with this phenomenon. While I appreciate Black History Month (as well as Hispanic Heritage Month, Asian/Pacific American Heritage Month, Native American Heritage Month, and Women’s History Month) and value the opportunity to highlight special achievements and honor an important part of our national history, I also long for a time when we’ll no longer have to consign the recognition of that history to a particular week, month, or magazine issue. Alright, I know I’m sounding loony now. But my point is, when does it end? 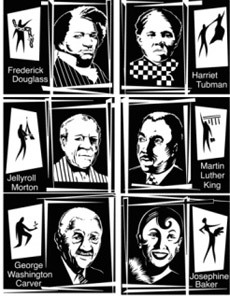 Will we always need Black History Month-type observances? Does authentic racial and cultural reconciliation in our country require that we observe our various annual heritage events in perpetuity? Or would true progress in reconciliation suggest that as a church or community or nation we should decide that, at some point down the road, we’ll need to grow out of the necessity of our Black History Months and move on toward a more natural and genuine embrace of the diversity of our nation? I understand that part of the reasoning behind these various heritage months is that the United States has not always been kind to those on the margins of society. The full benefits of citizenship were not always available to those of a certain race or gender. And to this day, the majority culture still tends to divide the nation based on what it has historically deemed to be the “real Americans.” Therefore, we’ve needed to designate a special time to acknowledge, teach, honor, and celebrate the value and contributions of those groups that have been forgotten, oppressed, or systematically excluded from the national canon of history. But does our nation’s sinful and dysfunctional record on matters of race and diversity mean that we will always need to manufacture these annual days and weeks and months as a reminder of what we’re really supposed to be—as a nation and as human beings? The apostle Paul said, “For we now know in part and we prophesy in part, but when perfection comes, the imperfect disappears. When I was a child, I spoke like a child, I thought like a child, I reasoned like a child. When I became a man, I gave up childish ways” (1 Cor. 9-12). Might this principle of “growing up” also apply to our annual heritage celebrations and observances? A few years ago, a friend of mine told me a story that has stuck with me ever since. My friend, who is white, is a strong believer in racial reconciliation and justice ministries. A talented musician, he leads a multiracial community gospel choir. He shared an experience that he had as a seminary student interning at an African American church. Leading special music during a Black History Month program at the church, he introduced a song by saying, “This month we celebrate Black History, but our prayer is that, one day, we will no longer have a need for a special month like this.” His point, of course, was that ideally someday our nation would progress to the place where a special heritage month was no longer the only time that we would acknowledge and value the importance of black history. However, in an awkward moment, the pastor pulled him aside after the service and politely advised him, “Don’t ever say something like that again.” My friend was very apologetic, and after a brief moment he was able to recognize why what he said was problematic. For that black church leader, the suggestion that we should strive toward no longer needing a Black History Month was tantamount to saying we should work to get rid of Christmas or Easter. That pastor’s reaction leads me back to my original concern. The question again: If Black History Month and our other annual cultural heritage observances are really accomplishing what they’re intended to, wouldn’t it be reasonable to expect that the day will come when we will no longer need them? Brilliant, as usual. Thank you. This is so thoughtful and it is important to ask these questions. Let’s get the curriculum changed in our schools. How does that happen though? My other thought is that many, many churches make no note of Black History Month or any other culture or history. My church didn’t even celebrate or note in any way MLK awareness. Although we’re 10% (at best) people of color, it is in no way reflected in the staff, curriculum, values or direction. For churches like mine, one must step backward even further than celebrating these cultures. Really this is a philosophical question with a lot of practical ramifications, and similar questions have been voiced as it relates to affirmative action: the question of how can we tell that a past injustice has been properly and thoroughly atoned for? When are the scales evened? I think a large part of the reason why there continues to be political discord and misunderstanding from many White folks is because they see influential Blacks still trying to advance causes to bring more benefit to the Black community (reparations, criminal justice reform, school vouchers, etc.) and they feel like we’re still holding onto the past, nursing a grudge, etc. You have to give something to gain something… perhaps building a coalition to set a date to end certain would help to gain traction for a fuller sense of equality and help to defuse some of the defensive accusations of reverse racism? Melody, I would say in response that your situation illustrates part of the difficulty in trying to deal with these issues, because every faith community, every family, every iteration of local, regional and national government looks at these issues differently. I believe churches need to take steps to honor and highlight the diversity that exists in the communities that they serve, and choosing to recognize historical accomplishments can help that. What doesn’t help as much is a blanket assumption or mandate that every church everywhere should take some token step to honor some random Black person every Feb in honor of Black History Month. Problem is, unless there is a concerted effort at awareness, people in power (pastors, university professors, judges, teachers, managers, etc.) will continue the status quo, which for too long has meant that the achievements and contributions of people of color (however you choose to define that label) get either marginalized or ignored entirely in favor of traditional White heroes of government and industry. Lord, help us all… that’s the solution. Thanks brother for this piece. I agree with you 100%. Part of the issue I think though is that reconciliation has not been thorough enough to really move beyond the observance of special days. Setting dates for the end of these observances without first seeing signs of significant movement on the reconciliation front would spell disaster. Its too easy for the majority culture to simply maintain the status quo. I would like to think that many African-Americans would be glad to see the end of such special observances if it was on the heels of a deep reconciliation that made its way into every sphere of life. What troubles me Jelani is that even in churches where reconciliation is a commitment it is still way to easy for the majority culture to denominate such that what you end up with is not reconciliation but assimilation or you end up with a racially mixed church where the senior leadership for the most part is still one ethnic group. I am in one of the most diverse churches in my city with brothers and sisters from several parts of Africa, from Burma, from Nepal, from the inner city, from the suburbs etc., yet the dominate leadership in the church (those who make decisions for the life of the church) is still white. And let me tell you those power issues and cultural issues are still very much a reality. They are wonderful brothers and sisters in the Lord but it is still there. I say all of this again to reinforce that until there is deep reconciliation that manifests itself in every sphere of our lives individually and nationally we are kidding ourselves to think we will be able to move beyond the need for special reminders, acknowledgments and campaigning (I mean that in the non-political sense) for equality for other races. Thanks for pondering this one with me, folks. These are great, insightful comments. I must confess, if you haven’t guessed it already, my proposal was not a totally serious one. I’m more interested in challenging ourselves (individuals, churches, institutions, communities, and ultimately the nation) to think more deeply about the purpose of these annual celebrations and ask ourselves are they truly accomplishing the goal–or are we just using them as excuses to not engage issues of reconciliation in a more substantive and lasting way? The symbolic aspect of these heritage celebrations and observances is important, but can we move it from symbol to reality? From annual duty to heartfelt commitment? I guess this is the basic question with so many things in our lives, including our marriages and our relationship with God. It needs to be an ongoing choice, not something forced upon you one month a year. You’re right, Tony, we need a “deep reconciliation that manifests itself in every sphere of our lives.” My goal with this admittedly crazy proposal was to nudge our thinking a little more in that direction. I geuss my simple comment would be…Why do we look at Black History month as something that one day wont be needed because it will reconized as it be should all year long ? While I understand this view, I disagree. Should we not recognize other holidays or Lincoln’s birthday..because everybody knows who he is on a dauly basis? No, the Nation Celebrates his birthday and other holidays because it recognizes that person for what they did and who they were. Regardless of whether Black History is celebrated daily in every classroom and home it still should be recognized for what it is. It was started to highlight and bring attention to African Americans and our contribution to history and our impact on the world because we were left out of the history books. 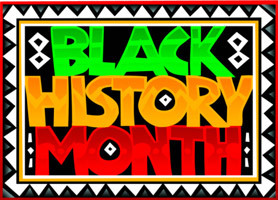 While it still is not taught and recognized it schools fully as it should be we certainly have come a long way…but let’s not get it twisted and think that “oh one day we wont need this month because everyone is recognizing the contributions of African Americans. If you ask me…white folks need Black History month more than African Americans. In order for me to survive , get through school, maintain my employment, etc etc…I need to know everything about the white world…I couldnt survive unless I did…as the late great Evangelist Tom Skinner pointed out. But white people dont need to know my world in order to survive. So if we dont have a Black History month where would those who dont know learn about us ? Of course it’s not the only thing..but it’s one thing to let them know…we are here,,,will be here…and we matter….because God says we do…. Tim – Thanks for your excellent comment. I hear where you’re coming from. As I said in the post, I’m somewhat conflicted about this topic. I recognize the value in Black History Month and love to celebrate the amazing history and achievements of great black Americans every February (especially if someone indulges me and allows me to recite a Paul Laurence Dunbar poem or MLK’s Selma speech, which is my favorite). But for as long as I can remember, the impression about Black History Month that I always got from many people, especially whites, is that the month is not just a time for celebration and rememberance but a time where we “pay our dues” for the year by listening to a black guest speaker or worshiping with a black guest choir or watching a special presentation of Roots or a Henry Louis Gates documentary on PBS. Then there’s the perspective shared by many black people that we must use the month as a time to hold up this important history before white Americans, reminding them of our suffering at the hands of their ancestors and proving to them once again that we have a rich heritage made up not only of ballplayers and entertainers but brilliant brain surgeons and pioneering scientists and Supreme Court Judges and groundbreaking novelists and painters and theologians. I agree with you that white Americans need to be aware of black history, and that they may actually benefit from the existence of this heritage month more than black folk. That’s a great point. So, yeah, I do wonder if publicly putting an expiration date on Black History Month would force all of us to examine our motives for the occasion, and perhaps ask hard questions about whether the right kind of healing and growth is happening on all sides of the divide. I should add that I do think it’s worthwhile and important to celebrate black history—and to rightfully recognize it as a vital and essential part of American history. And I do not think annual celebrations and observances are unimportant or should be abandoned altogether. You’ll notice that I didn’t say we should drop Martin Luther King Jr. Day. In some ways, I see that as the real holiday to focus on the unique history of African Americans, the “dream” of the Beloved Community, and the hope that all races and cultures can live together in unity. As someone who runs in low-church evangelical circles, I’ve run into parallel arguments about observing the season of Lent i.e. “Shouldn’t we be emphasizing prayer, confession, almsgiving and self-denial more than just one season per year?” Well, sure, but emphasis, by definition, cannot be constant. b) decreased recognition of minority contributions/perspectives year round. My sense is that even in the year 2020, the answer will still be the latter, which is why our society may always need BHM this side of the new heavens and new earth. Good stuff, Ed. I think we agree. My comment above was posted before I read your reply to Tim. For me, Black History Month has also had professional and financial consequences. When I worked as an actor, I once benefitted from the “color-blind” casting that many theaters once practiced more consistently. But once multiculturalism really took off, and with it the vigilant focus on Black History “Month”, I started getting calls only for the “February” shows (that was “our” month). And many African-Americans promoted this kind of thinking as our newfound sense of pride caused us to become more tribal in our thinking, insisting that we promote works that only spoke to “our reality” as opposed to the human condition. So the major theater companies honored such thinking, and February became the designated time to do this. My career suffered. Ed – love this post and all the comments. I struggle with this as well and love that there a place I can come for thought provoking commentary on the subject. Thanks, Bob. I look forward to reading your articles. If they’re available somewhere online for folks to read, please feel free to post a link here. Thanks for permission to post the following two links. Ed, I am conflicted about this one yet I agree that something different needs to happen in the future. As an african american in his 40s, I glaze over a bit when black history month comes around. Its the only time I see real interest in american blacks. 1. Although I expect to teach my kids about black history, what schools do still seems less than adequate. 2. The media (local news) and hollywood still seems to be the place that people get their ideas about black people. 3. I don’t think st. Pats day and black history were created for the same reasons so they can’t be compared. One was created to remember culture, the other was created to rediscover culture. What I would like to see is african americans treated as true americans. I have seen signs of this, for example, when president clinton finally honored the tuskegee airmen after years of being ignored. To see the lone survivor.shed tears brought tears to my eyes. There are so many people like that who have so ignored that young people don’t seem to know what our contribution was to this country beyond slavery and music. Ed, I would also suggest that it gets worse when we deal with christian history since so much of it has been ‘europeanized.’ I teach church history in a christian private school that is mostly african american and I have to bend over backwards to remind them of the north african and asian contribution to christianity. The comment by Prophetik Soul is on target about the ongoing need. I believe one of the “signs” that we would no longer need Black History Month would be when current courses on Church History rightfully acknowledge the contributions of Christians from all “nations, languages, tribe, and tongue (as John says in it Rev. 5 and 7). I find this equally true for courses on American Church History. I recently taught at a well-known Evangelical seminary on the history of the Black church using material and resources from my book “Beyond the Suffering.” The students were shocked how extensive the resources were. This was especially true because they had just been in a course on American Church History. Yet in that course, nothing was said about the heroes and heroines of the Black Church. Let me know if you would like to swap URL’s. I would be honored. This is very exciting: I’ve found in this post my very own opinions! I am not a teacher, or a minister, or a person of color, but I have always advocated for equality for all people, no matter their color, gender, sexual orientation, or status in society. I’m a musician. I introduced a spiritual last Sunday (March 28, 2010) with a little background, trying to let our mostly-white congregation understand the culture that produced the spiritual “He Never Said a Mumblin’ Word.” When I looked up, there were tears streaming down the faces of two of our black members. They later told me how my comments had affirmed their faith and their backgrounds. It made me sad that they, and others, didn’t ALWAYS feel that kind of affirmation….